The venue for the 19th International Conference on Computer Applications in Shipbuilding (ICCAS), to be held in 2019, has been announced as Rotterdam. Continuing the noteworthy success of previous conferences, ICCAS offers unequalled opportunity for international delegates from the global shipbuilding and marine industry to see practical application of computing technologies across all aspects of design, production, and in-service operation of ships and marine structures. 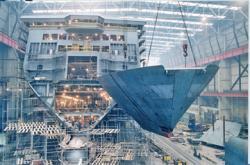 ICCAS will include papers on all aspects of shipbuilding. Delegates can understand the implementation, success and benefits of applying computing technologies in the industry to improve methodologies, processes and productivity. 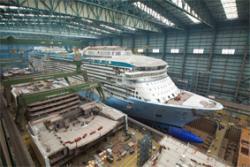 A popular delegate event is a conference visit a local shipyard. ICCAS encourages papers on all applications of computing and information technologies for use within the Shipbuilding, Marine, and Ship Operation related industries. Evaluation, selection and implementation of a new system. Enhancement and/or improved use of existing computing and IT systems. Efficient use of data and information captured in Computing Systems. Research and development of a future applications of Computing Technologies the industry. Vendor development of system capabilities and/or functionality. A vision of the future potential use of Computing Technologies within the industry. Using Computing Technologies in a collaborative or multi-site environment. Procedures and practices implemented to maximise use and benefits of Computing Technologies. Improvements in productivity and/or performance due to the use of Computing Technologies. Success in applying advanced technologies (such as simulation, AR/VR, Engineering Analysis, Digital Manufacturing, Big Data, Digital Twin, Knowledge Systems, etc). Improvements in manufacturing quality/accuracy/productivity due to computing methodologies. Topics not listed above that are relevant to the industry, which are also acceptable. ICCAS attracts topics from any stage of a ship lifecycle, from concept and early design, through detail design, planning and project management, manufacturing, production and assembly, build, and in-service operation. Topics such as a supplier using computing technology to enhance equipment performance, a classification society that uses computing technologies to improve the quality and format of data for approval assessment, or a ship operator using computing technologies to optimise performance, are very welcome. ICCAS particularly welcomes papers discussing the practical application of the topic in production, or proven during field trials. Click here to register your interest in the International Conference on Computer Applications in Shipbuilding (ICCAS 2019) and receive updates as they become available. If you wish to submit an abstract via our online system please click here, the submission needs to include a paper title, brief summary (no more than 250 words) of what the proposed paper would be about and your contact details or you can send an abstract directly via e-mail to or fax to +44(0) 20 7259 5912. The Postillion Convention Centre WTC Rotterdam, Beursplein 37, 3011 AA Rotterdam, Netherlands. 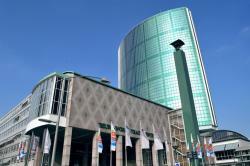 The convention centre is located in the heart of Rotterdam with easy access both by car and public transport. It may be overshadowed by Amsterdam, but Rotterdam is the Netherlands second largest city. With a rich history, it is known as a diverse bustling city with a lot of modern futuristic architecture a strong maritime tradition centred on Europe’s busiest port, and a wealth of top-class museums. The iconic Erasmus bridge, the famous cube houses and the majectic market hall are some the major landmarks of Rotterdam. For more tourist information about Rotterdam Click here. RINA events provide the perfect opportunity for effective and highly targeted marketing. Sponsorship and exhibition opportunities exist for all of our conferences. For more information please follow the link or contact JP Media Services Tel: +44(0)1737 852 135 or e-mail: to discuss tailored options or availability. RINA has also sucessfully organised the previous six ICCAS events; 2017 Singapore, 2015 Bremen, Germany, 2013 in Busan, South Korea, 2011 in Trieste, Italy, 2009 in Shanghai, China and 2007 in Portsmouth, UK.